Nestled in the centuries old fishing community of Birchy Head, only a stone's throw away from the waters of Saint Margaret's Bay. 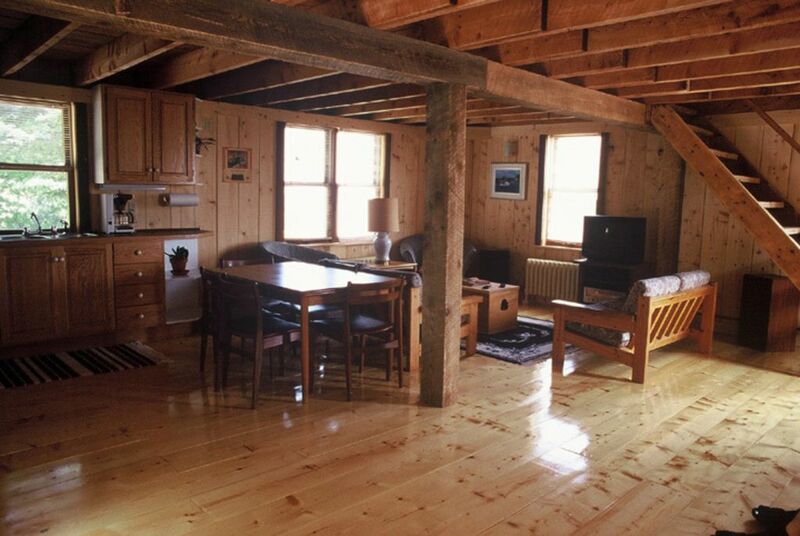 Formerly used to store ice for the fishing trade, the building has been restored into a cosy seaside cottage. In close proximity to sandy beaches, or if you prefer, you can take a swim directly off the rocks. Eight minutes from Hubbards, less than an hour from the communities of Chester, Mahone Bay, Lunenburg and Peggy's Cove, as well as downtown Halifax, and apprx. a one hour drive to Stanfield International Airport. Conveniently located within minutes of Freewheeling Adventures for kayaking and biking. Watch the beautiful sunrises, the waves lapping the shore, passing fishing boats an occasional whale or dolphin and smell the salt sea air, all without ever leaving the wrap-around deck. The Atmosphere reflects a time gone by when the pace was slower and the sound of the sea prevailed. The moon and stars are abundant on a clear night and the sunrise over the water can be a spectacular sight. For a good night's sleep, enjoy the firm queen-size bed. A 1056 sq. ft. all wood 2 storey, environmentally friendly structure with a spacious, open-concept design. Equipped with hot water cast iron heating and a modern kitchen and bathroom. Appliances include a fridge, stove, coffee maker, microwave and toaster, also,color cable TV, VCR, and AM/FM stereo radio. Available Dates: May 15 to October 1 Rates: High Season (July 15th to Sept 15th) $1,350.00/week + tax. Low Season $1,100.00/week + tax. 50% deposit required on booking. Rates based on double occupancy. (Sunday to Sunday) Extra person fee of 25 per person per night after the first 2 guests.